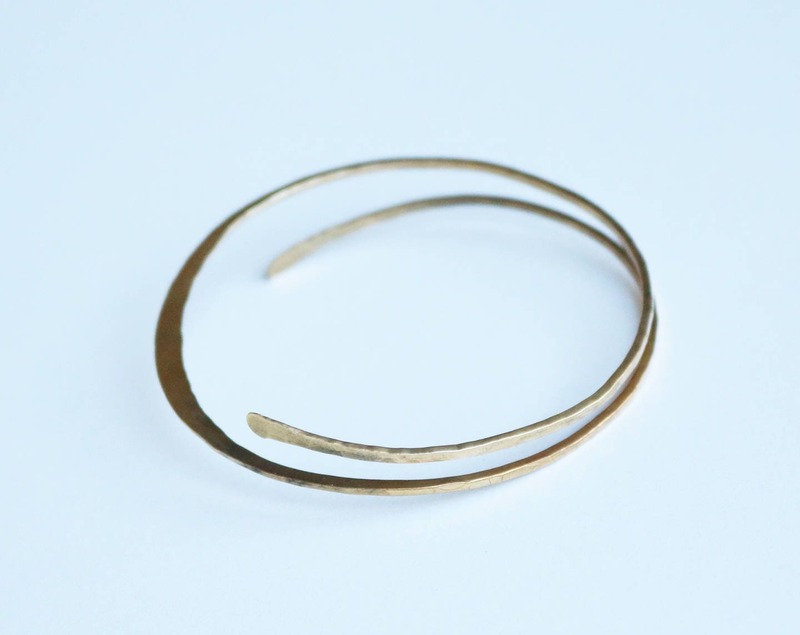 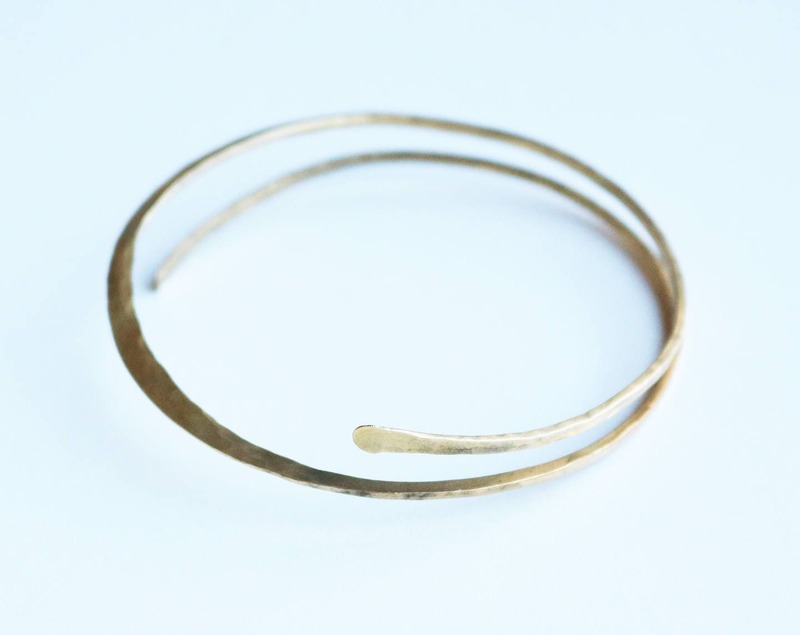 This simple brass bangle is the perfect gift for anyone in your life. 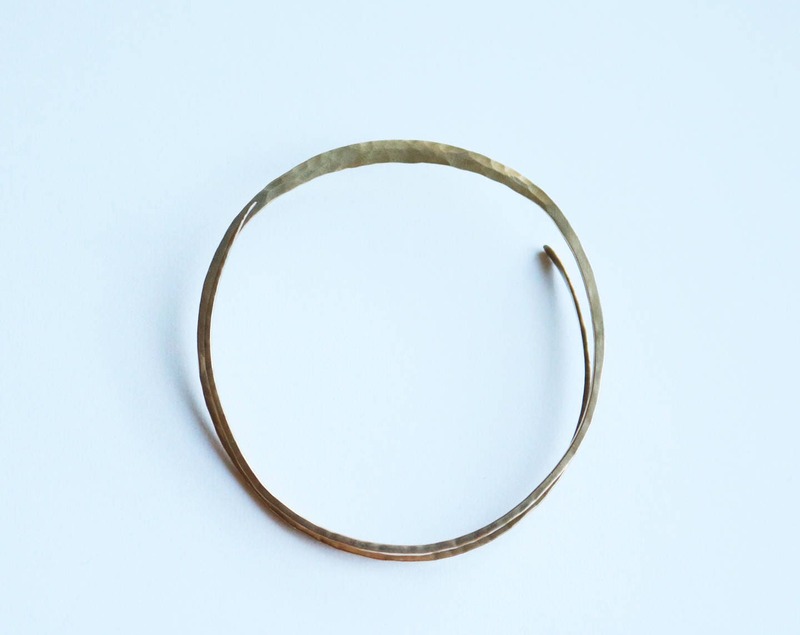 The open design allows for some stretch going over the hand, meaning it will fit a wide variety of hand sizes. 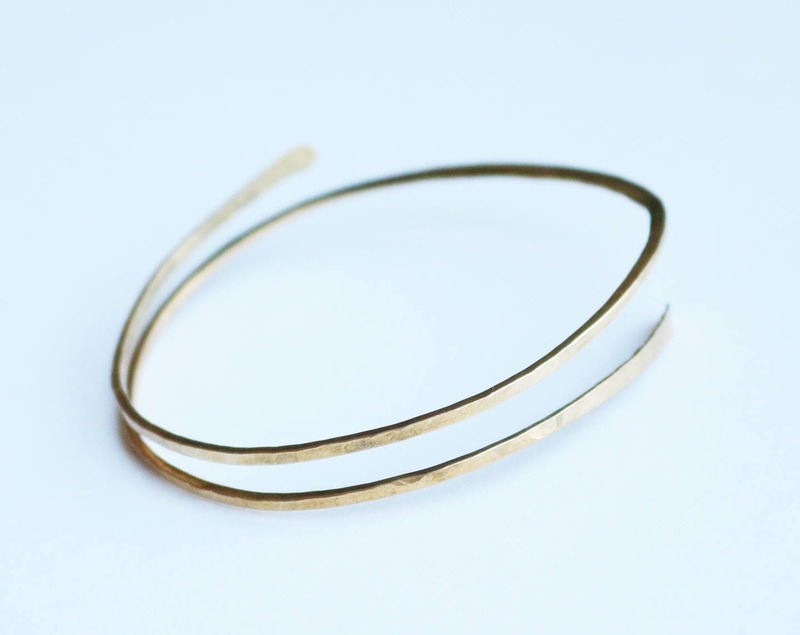 The process of forging makes the metal super springy and sturdy, so taking it on and off won't misshape it.